Who don’t like brownies???? I know I am just saying and you fellas are drooling…right??? But before eating we need to check onces right, that how many calories we are just digging in?? 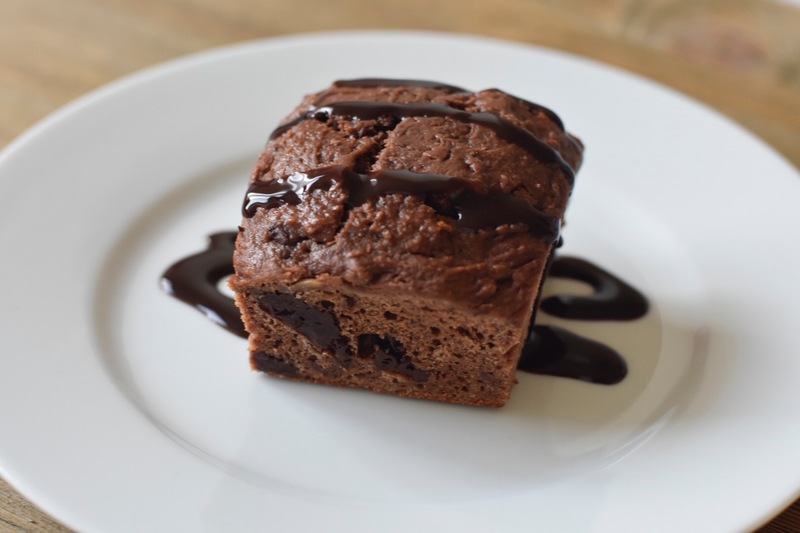 Let’s make it easy for you all with this weight watchers brownie, which is made up of whole wheat flour and almost no sugar hence you can enjoy eating brownies when you crave for it. (Here I am not talking about chocolate syrup and ice cream 😉 keep that in mind) As you might already know that I am a big fan of ripe banana which is a great replacement of eggs and sugar in baking. 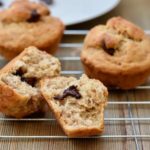 I have used ripe banana in the recipe which gives perfect sweetness that you hardly need any other sweetner in the recipe. 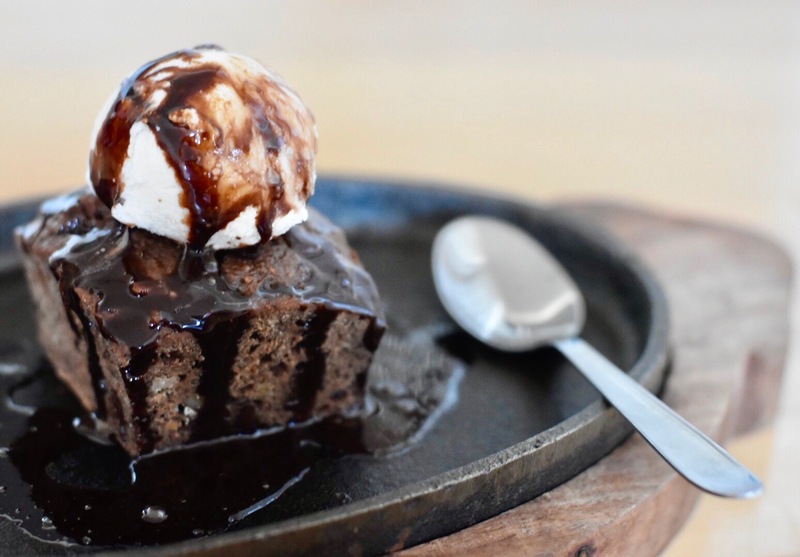 Sizzling brownie with ice cream which is having hot brownie with crunch of walnut and homemade vanilla ice cream which is going very well with sizzling brownie. 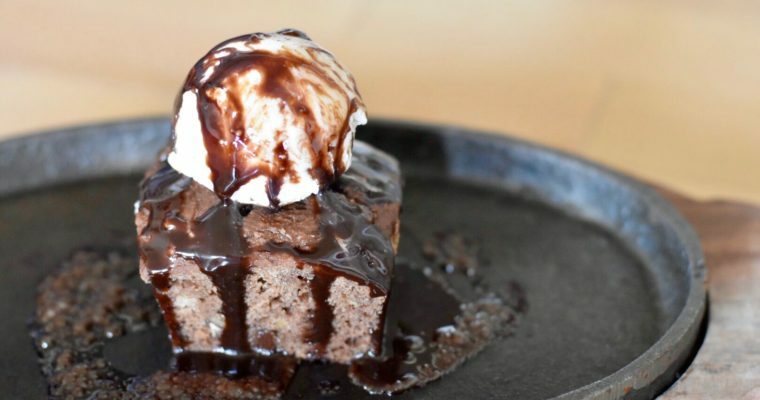 For making your brownie sizzle you need hot plate and cold chocolate syrup. Here I have added just enough of syrup so that brownie will not become too sweet and overload of calories. Don’t forget to save one for you before it disappears. Anyways care about your loved ones heart and change the way you cook! 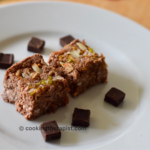 Brownie made up of whole wheat flour and ripe bananas along with walnuts and chocolate chunks which makes it healthier than the traditional recipe. Sift all dry ingredients together except chocolate chips and walnuts. Take microwave safe bowl and add oil, dark chocolate chunks, cocoa powder, instant coffee powder. Microwave it for 15- 20 seconds and whisk it till chocolate melts. Add vanilla extract and mix it thoroughly. Now add all the dry ingredient to the wet mixture in batches and fold them gently. You can use condensed milk or milk to adjust the consistency and sweetness. Mixture has to be bit thick then dropping consistency. Grease square pan or baking pan of you choice with cooking spray/ oil. Tap pan once or twice and bake them into the preheated oven at 375*F for approximately 20 mins or till your toothpicks comes out clean. If it is coming out clean that means it's done. Take it out and wait for a minute or two then take it out from the pan. 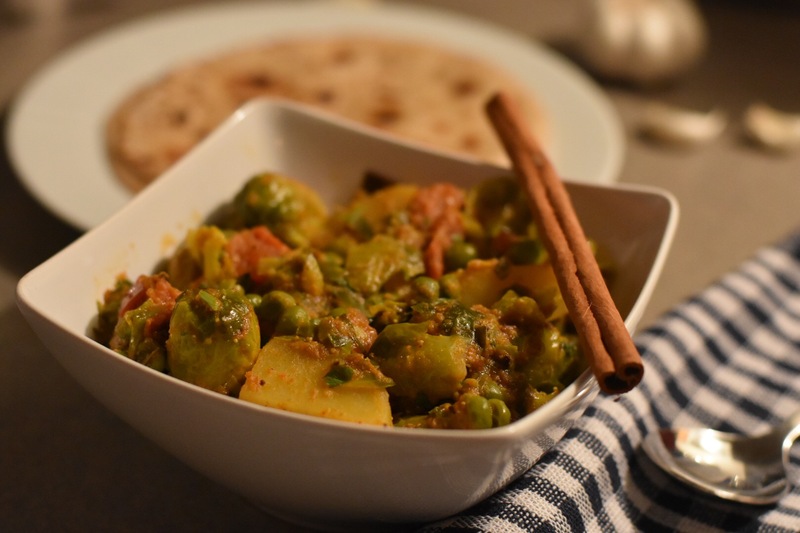 Serve it hot with an ice cream or use hot plate to make sizzling brownie. For Making sizzling brownie heat iron plate and place brownie in it. Keep hot iron plate carefully in wooden plate. 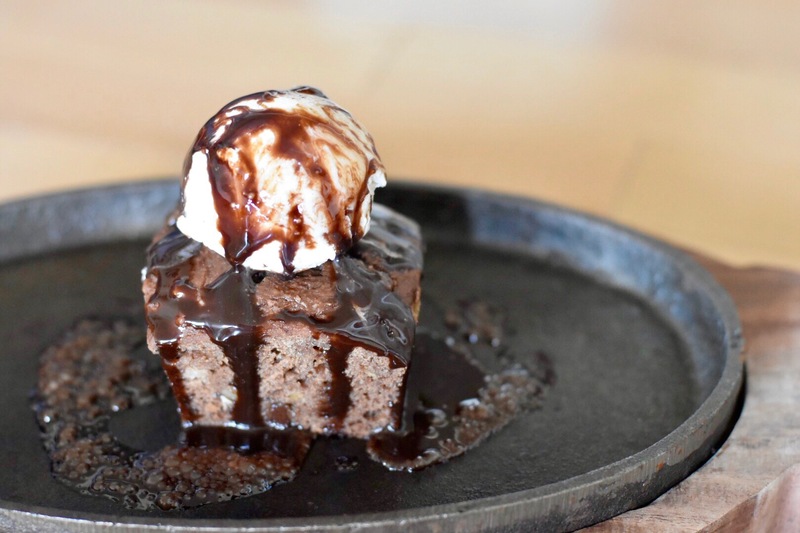 Add ice cream on top of brownie and and add chocolate syrup on ice cream and hot plate. You can have it without ice cream for low calorie version. Use coconut/ soy/ almond milk if you are vegan. You can make it in a pressure cooker too if you don't have oven. you can use heavy bottom pan if you don't have iron plate. You will also like my valentine special dessert collection.